The simplicity and effectiveness of our patented visual alignment systems and putter head designs will help you solve 50% of the equation. By getting into a position where you see no orange, Hide Orange™ will ensure that you have consistent setup and aim. The ultimate high-performance design with extremely high MOI (Moment of Inertia) and patented HideOrange™ technology. 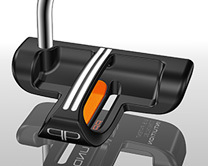 This face-balanced putter is uniquely designed to perform with not only the “straight back, straight through” technique but also the “inside to inside” method. The ultimate high-performance design combining extremely high MOI (Moment of Inertia), an optimized center-alignment system and of course, the patented HideOrange™ technology. 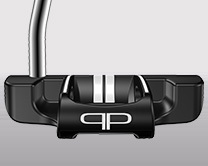 This face-balanced putter is ideal for players who align to the target with a black line on their ball. 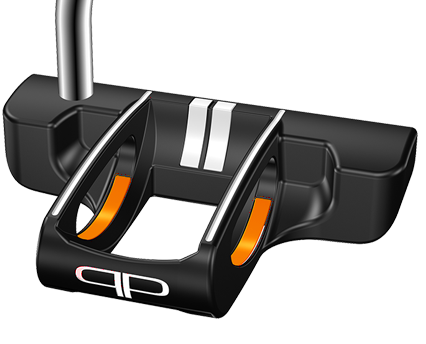 This fully CNC milled 303 stainless steel model gives the player the technological benefits of the Hide Orange™ alignment system along with the ultimate in feel and responsiveness. 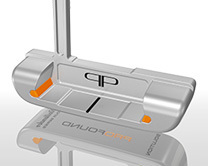 This putter has been designed specifically for the discriminating players on the professional golf tours. The New Dimension in Putting™ is coming soon. Profound will launch the new models during summer 2014. Follow us on Facebook or Twitter for the latest news and product updates.